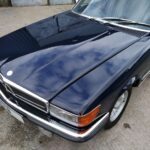 Midnight Blue, matching hardtop, new black soft top, blue leather interior, automatic gearbox, air conditioning, electric windows, recent Pioneer radio/CD player, original 14” alloy wheels, central locking, recent Clifford Cat 1 alarm/immobiliser, FSH, all tools and manuals, 92,000 miles. 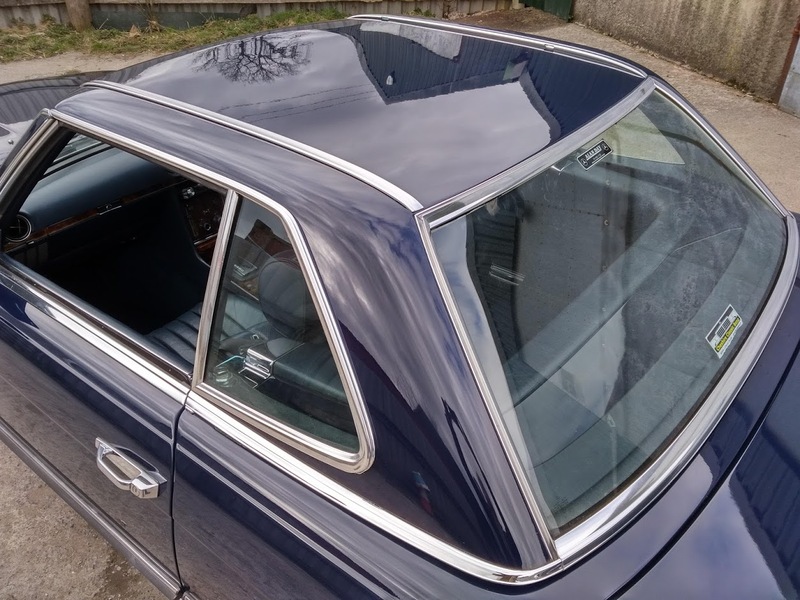 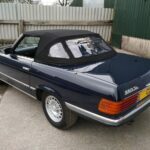 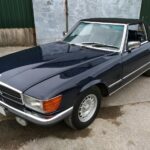 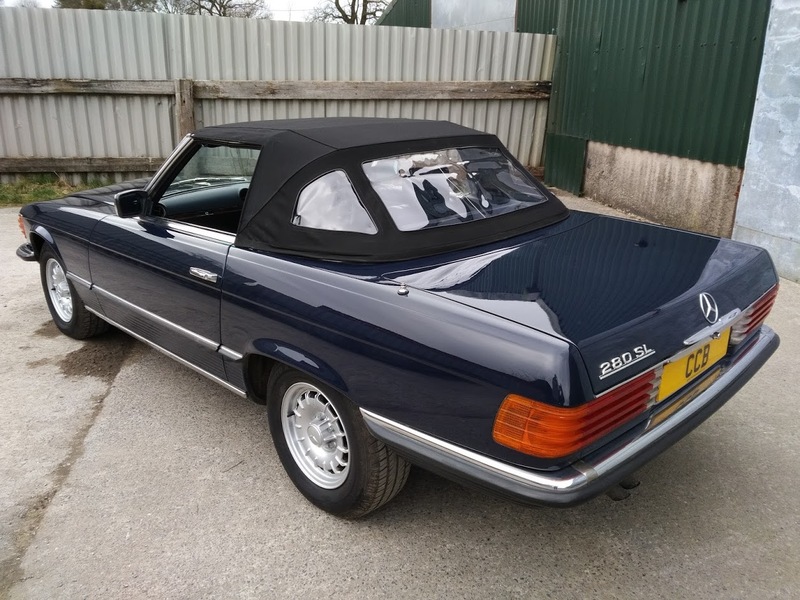 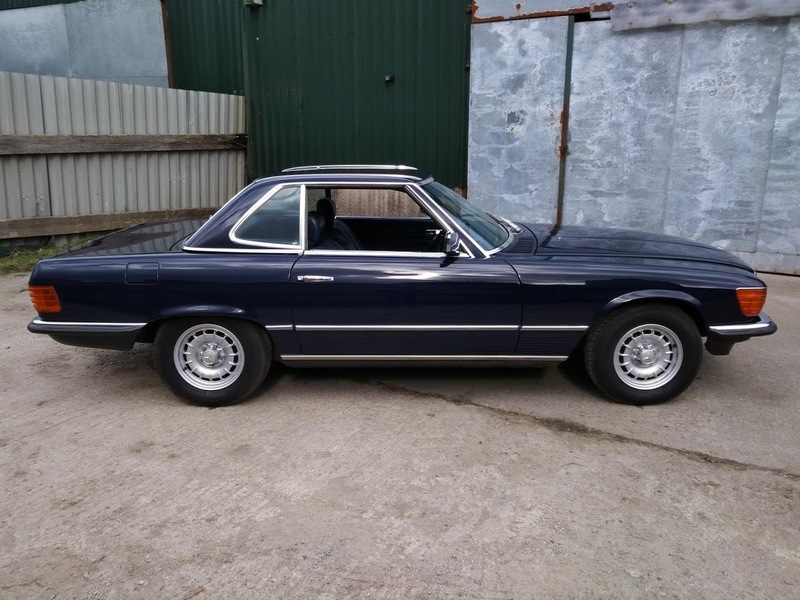 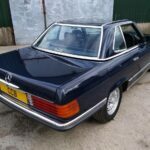 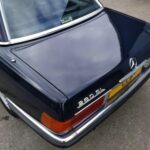 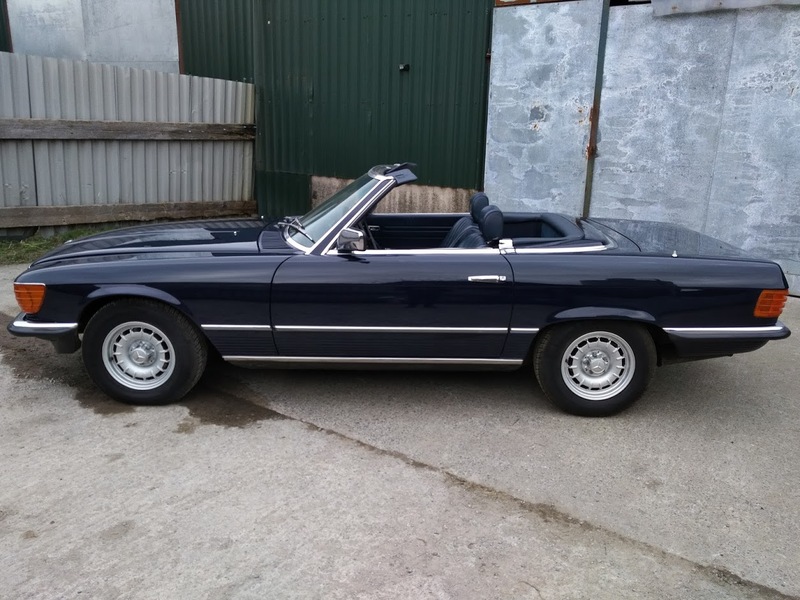 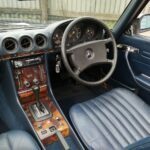 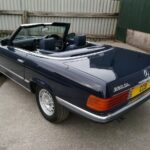 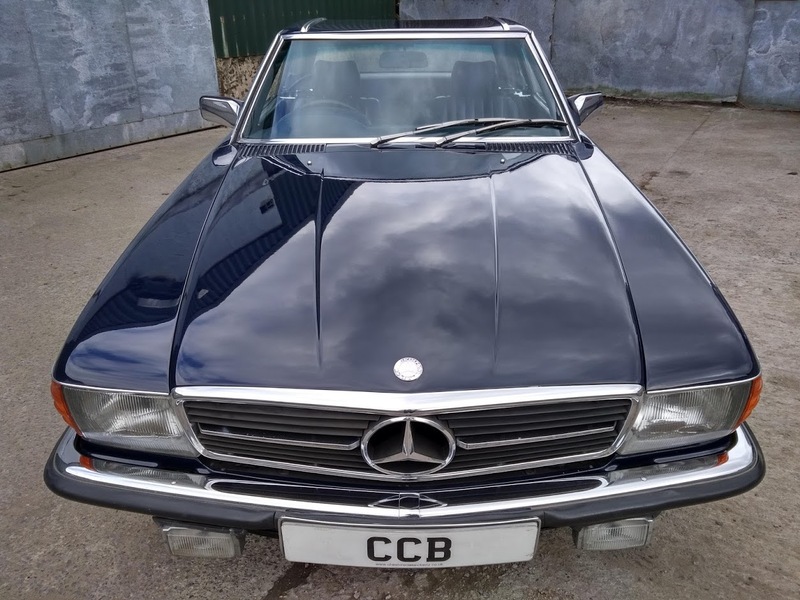 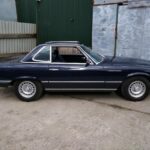 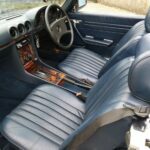 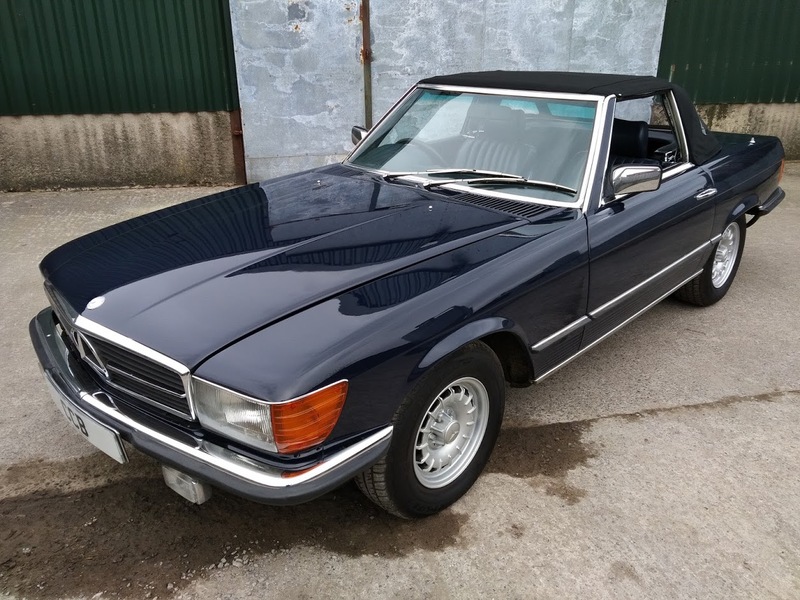 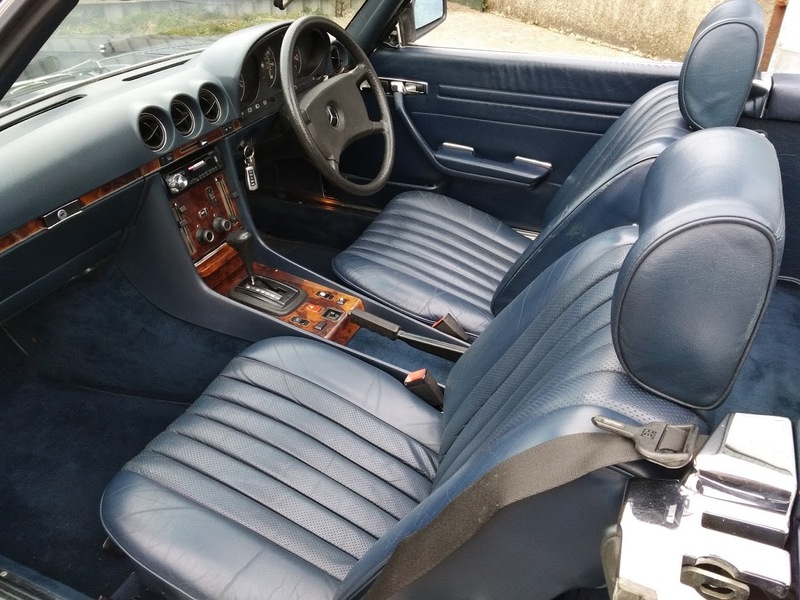 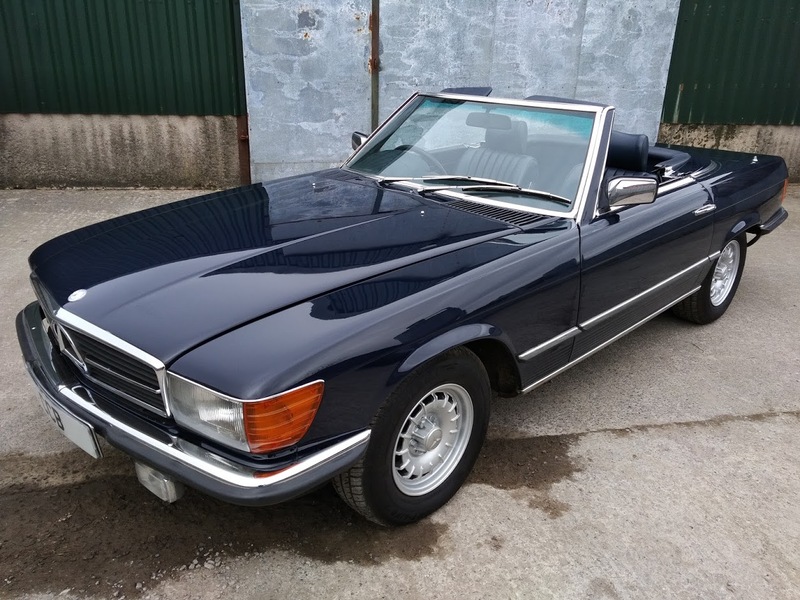 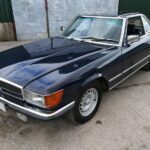 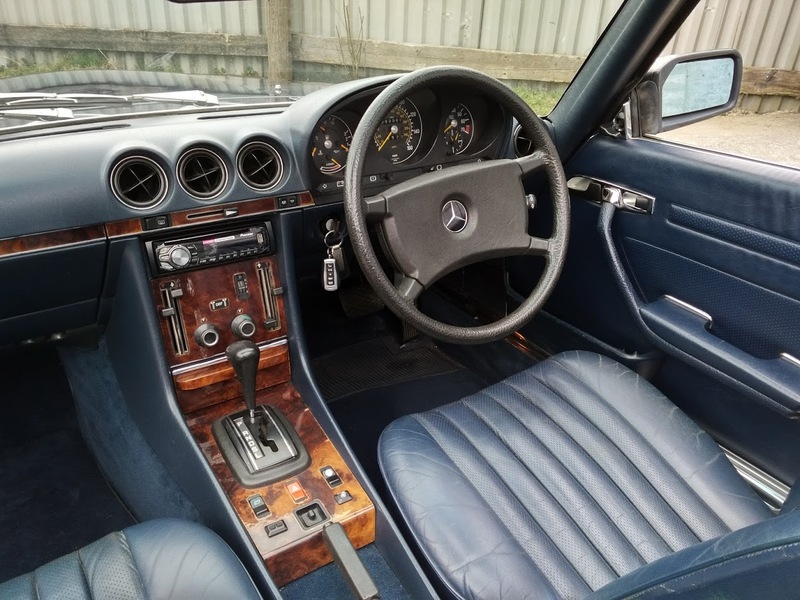 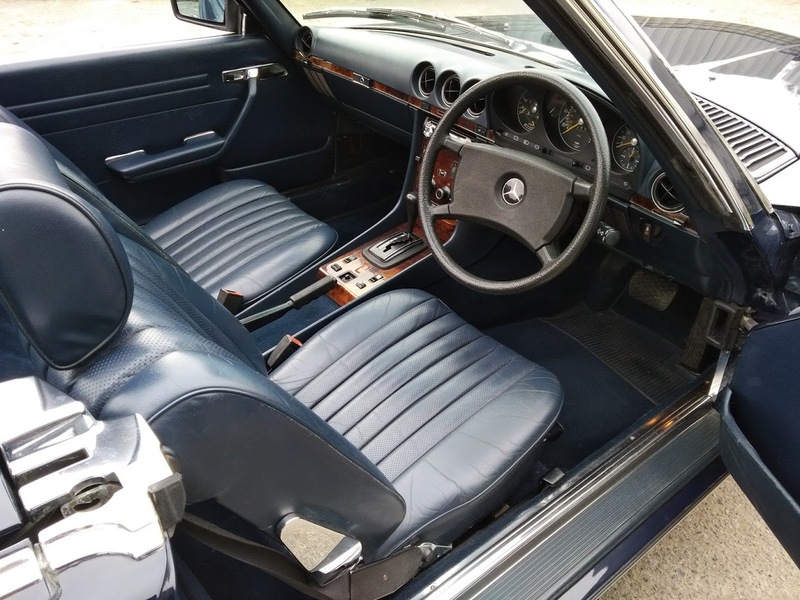 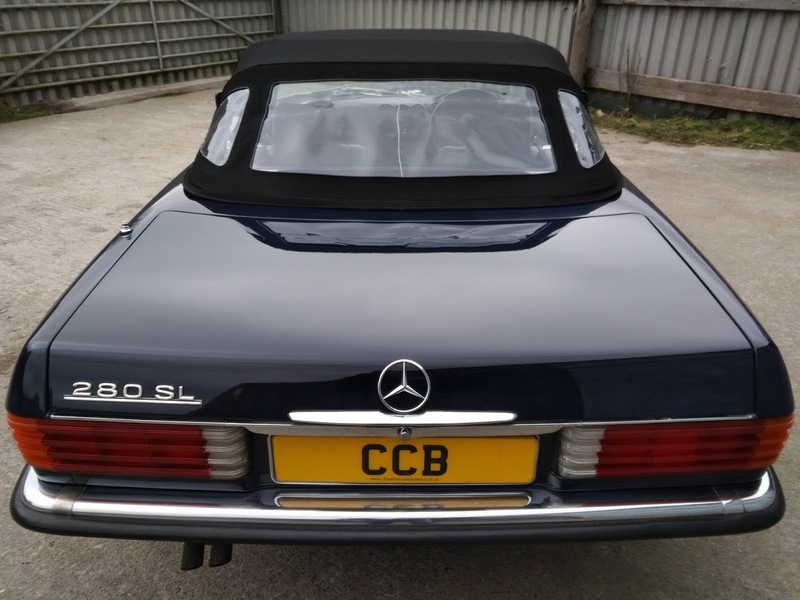 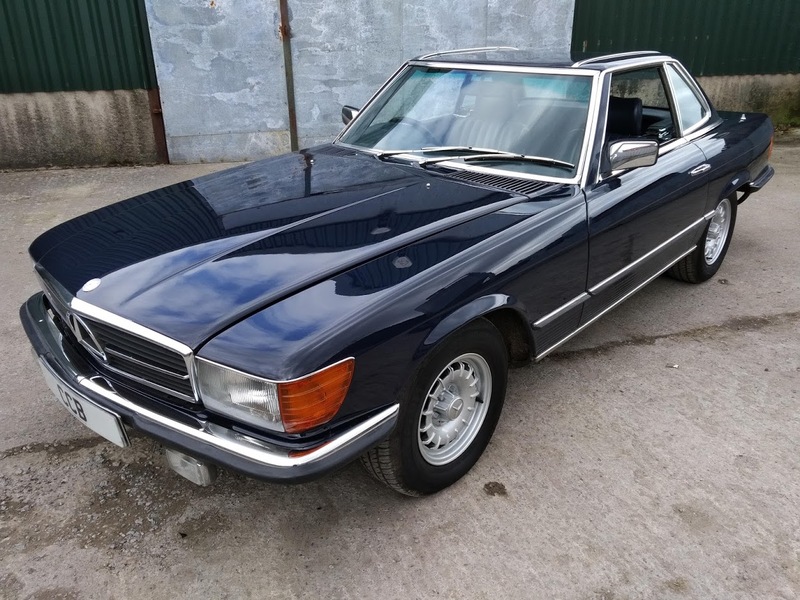 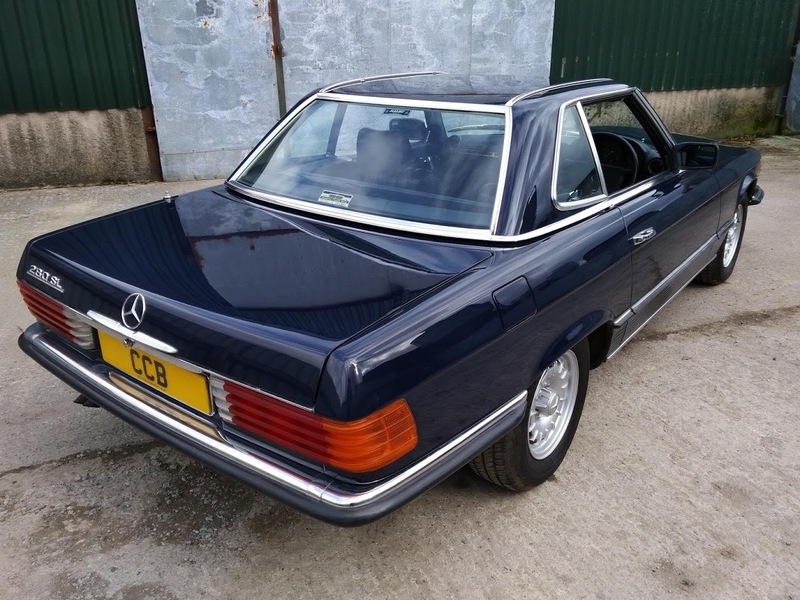 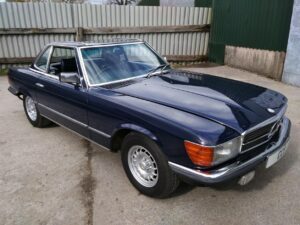 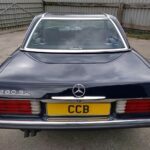 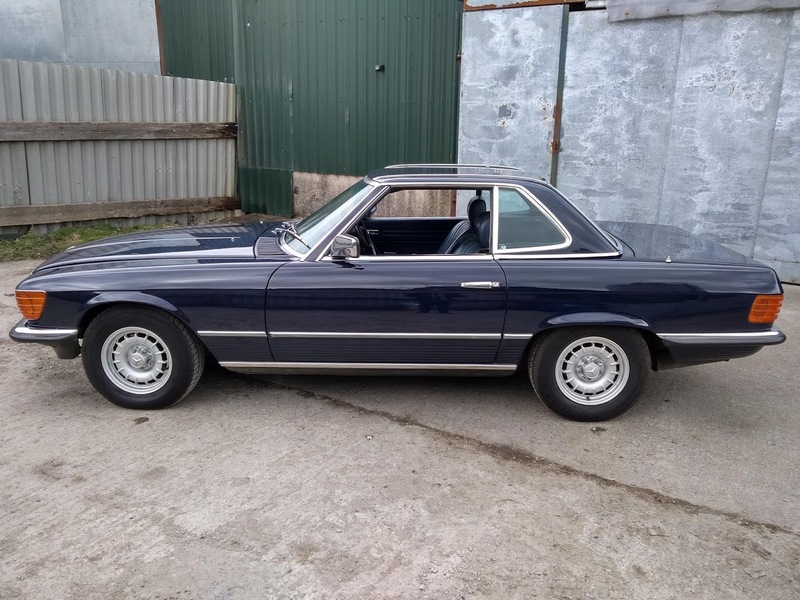 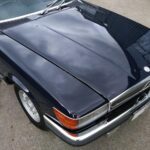 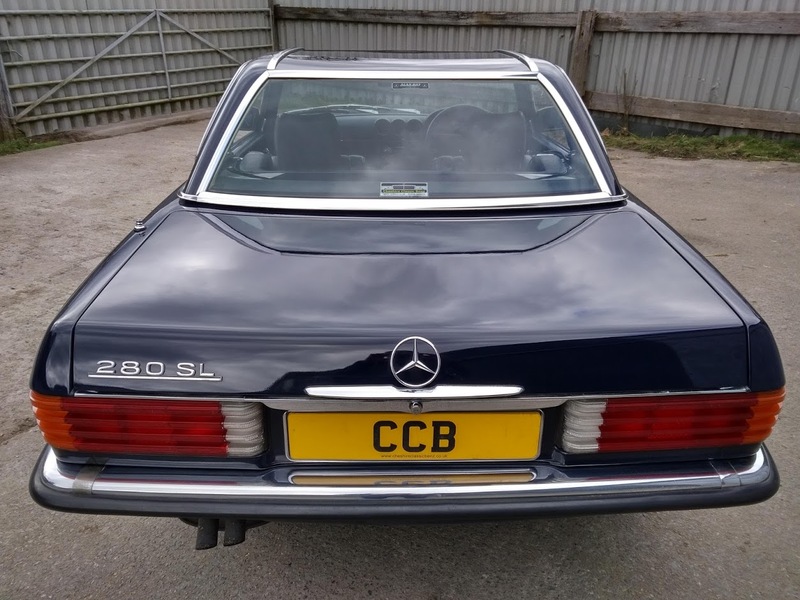 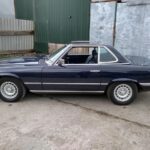 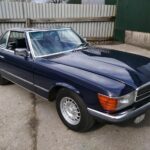 This lovely vehicle was personally collected from the Mercedes Sindelfingen factory by its first owner in August 1985, and had four owners during the first 11 years of its life, mostly in London and the home counties. 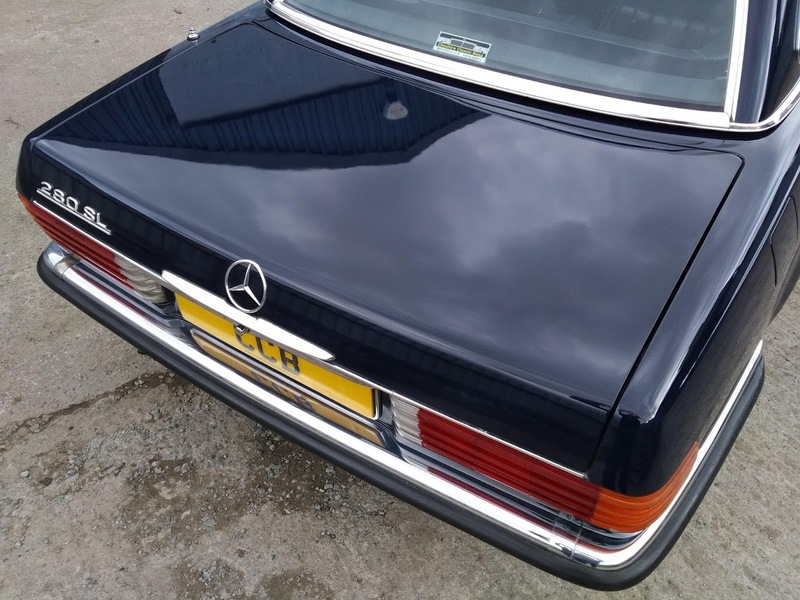 In August 1996, with the mileage standing at around 63,000, it went to a titled gentleman at his stately home in Sudbury, Suffolk, and remained with him until September 2001 during which time he took the mileage up to around 75,000. It was then purchased by a gentleman in rural Herefordshire, who also used it very sparingly and in 14 years of ownership only increased the mileage by 15,000. 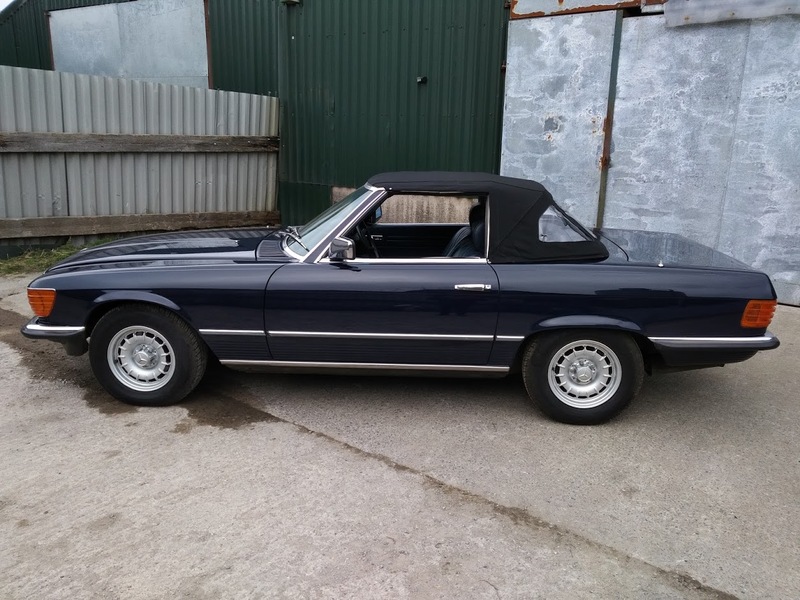 In 2015 we purchased the car and have owned it ourselves since then, using it occasionally for Summer weekend trips. 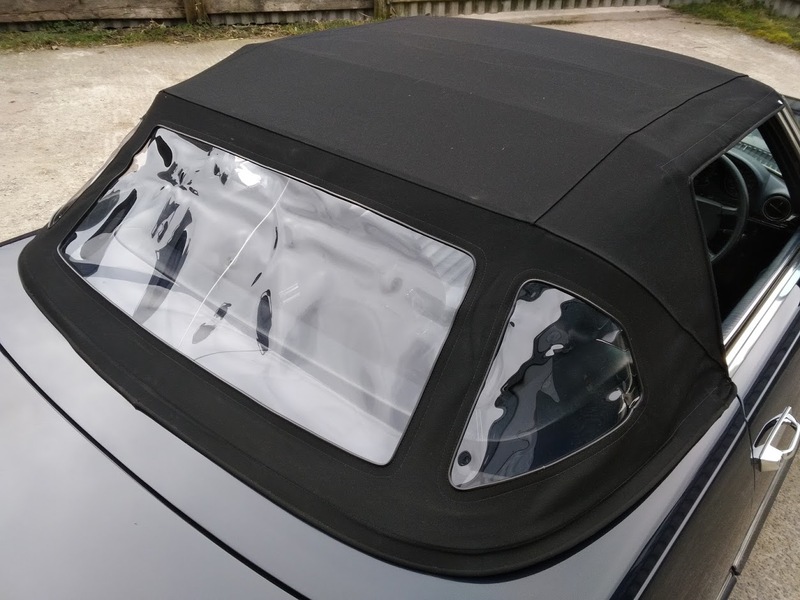 In August 2016 we lent it to an Australian customer so that he and his wife could use it for a two month European tour, which it accomplished without a single hiccup over several thousand miles. 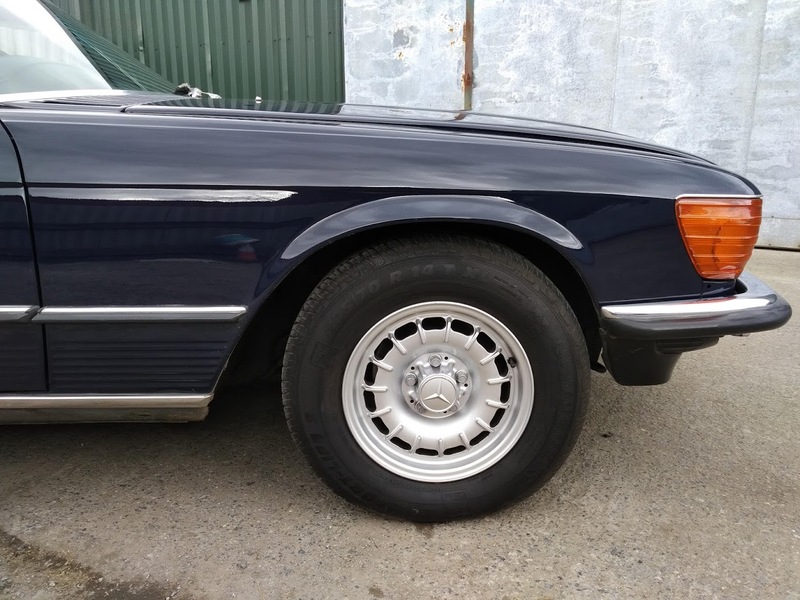 Cosmetic condition is exemplary, with flawless paint, excellent chrome, brand new O.E. 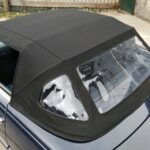 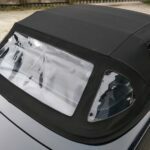 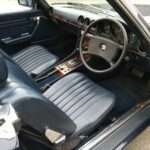 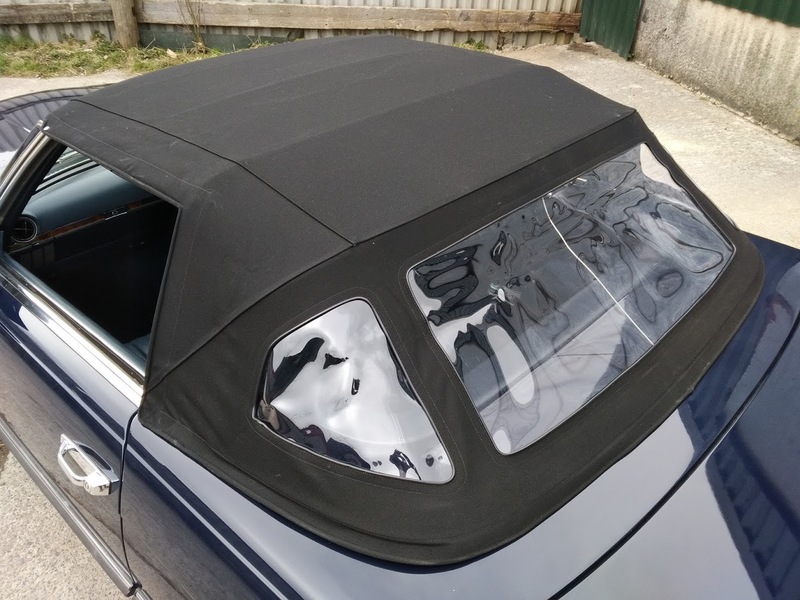 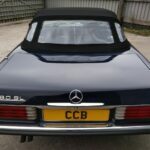 quality soft top, newly refurbished wheels, recent new tyres and only very light patination to the interior. 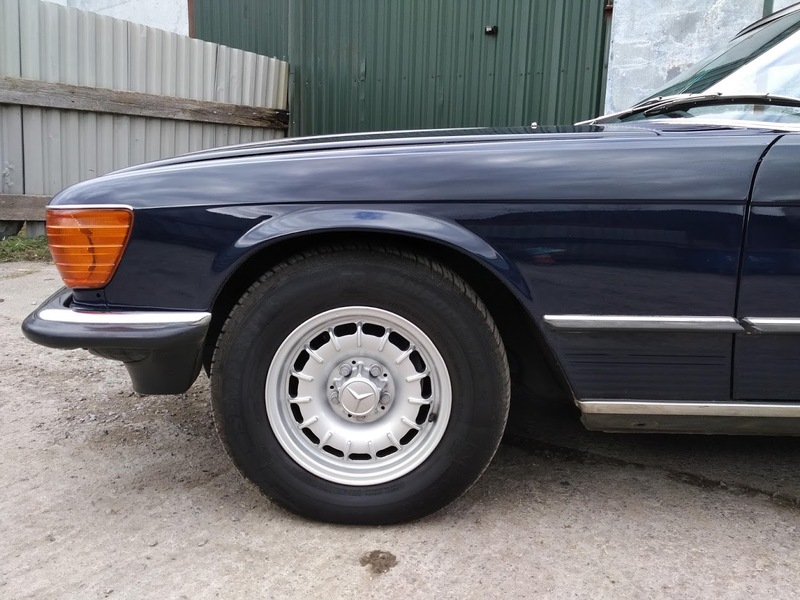 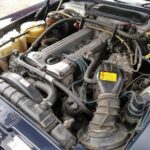 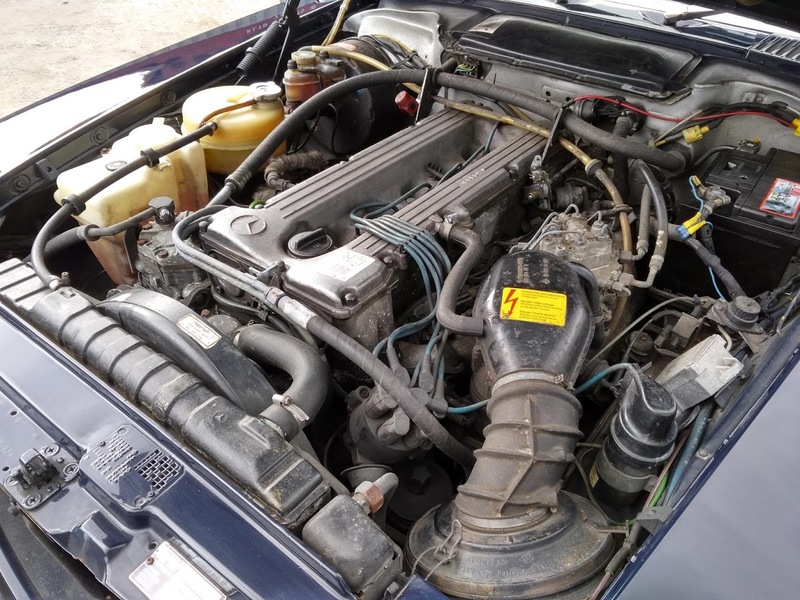 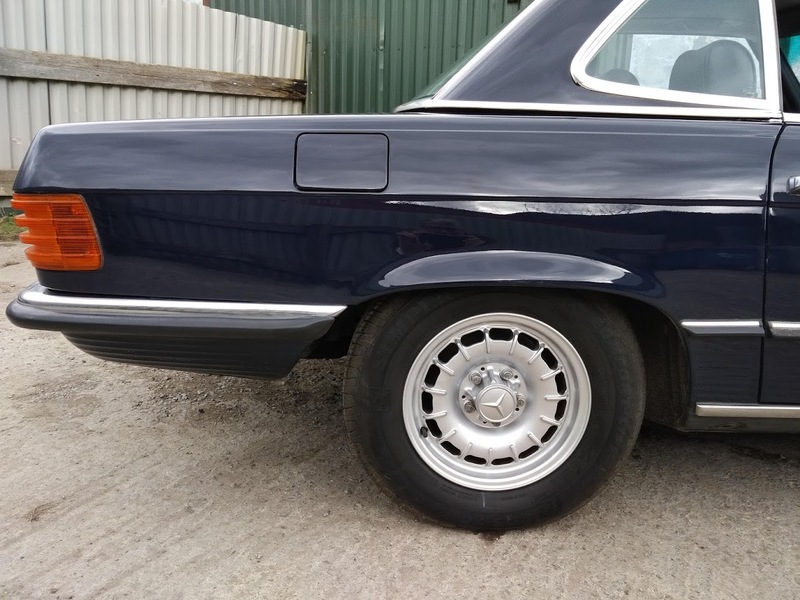 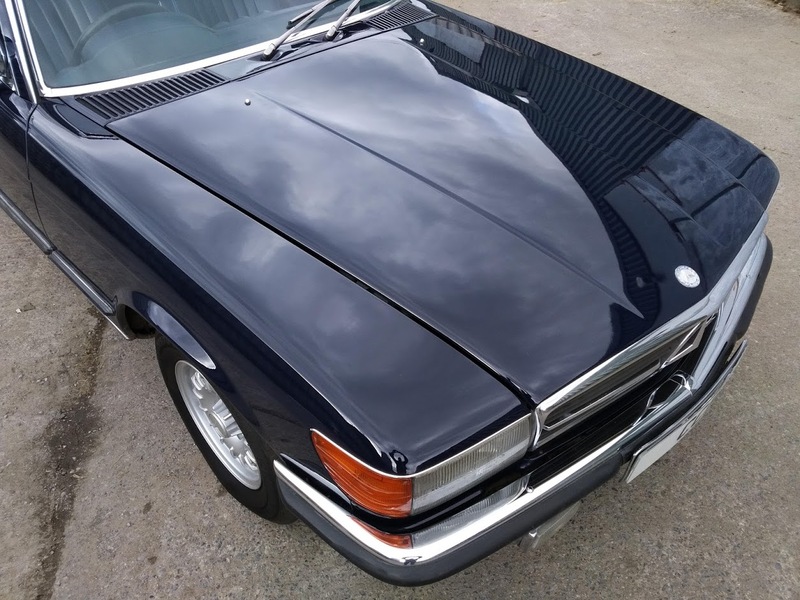 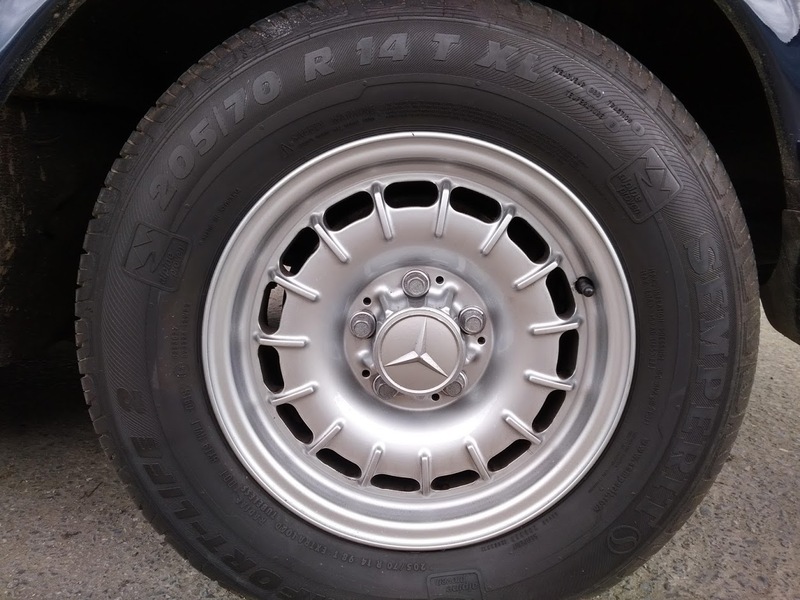 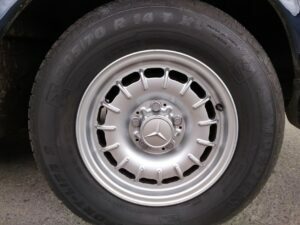 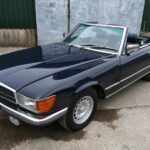 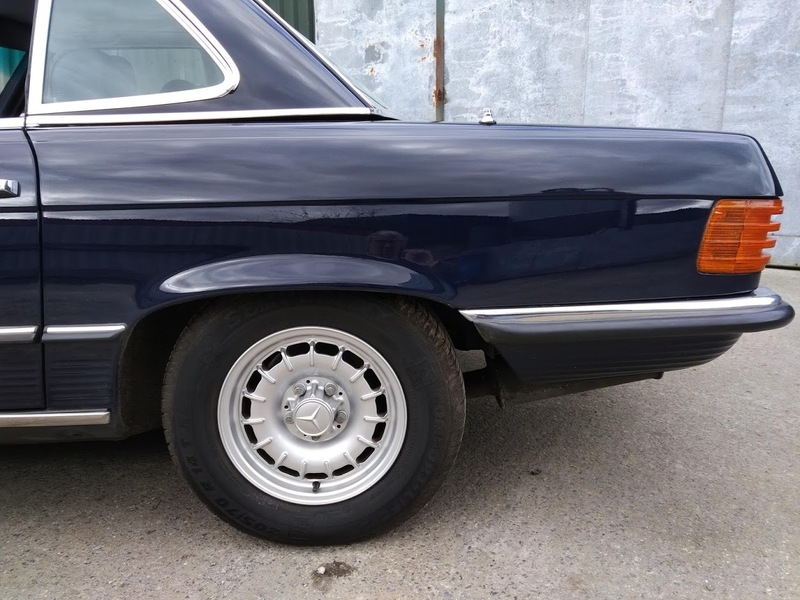 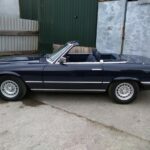 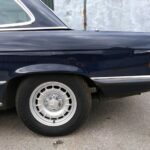 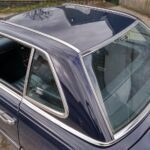 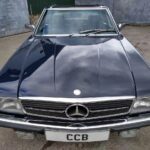 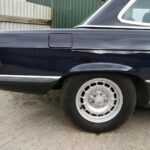 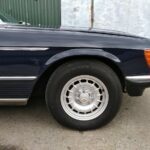 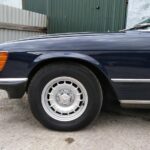 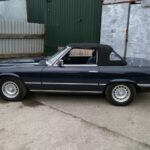 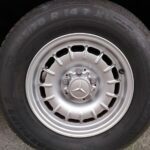 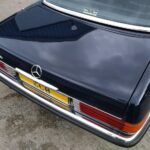 It has been serviced regularly for the whole of its life, with 18 stamps in the service book, 12 of which are from Mercedes-Benz dealers, one from an independent Mercedes specialist and the remaining three from non-franchised garages. 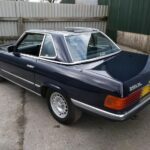 We have all MOT records since 2003 and many service and maintenance invoices. 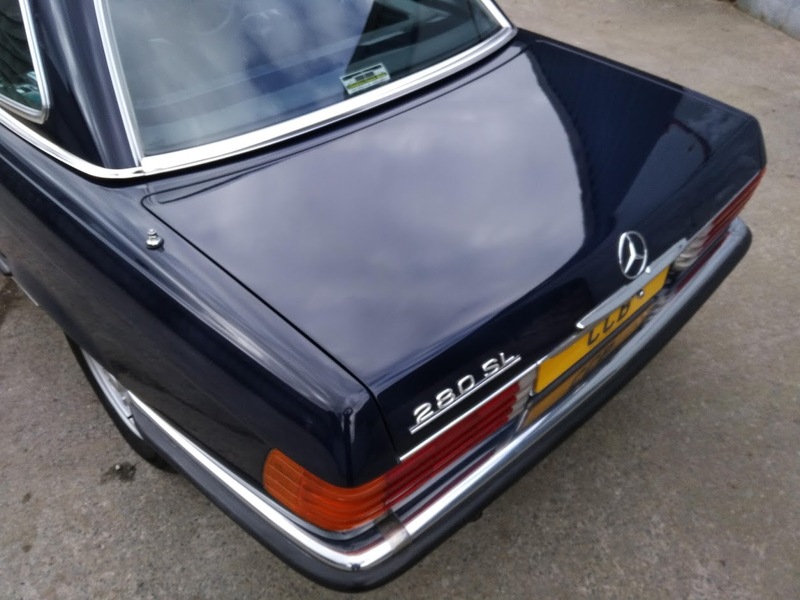 We will service it again before handover to its new owner, so it will be ready for a further 6,000 miles before any scheduled attention is needed. 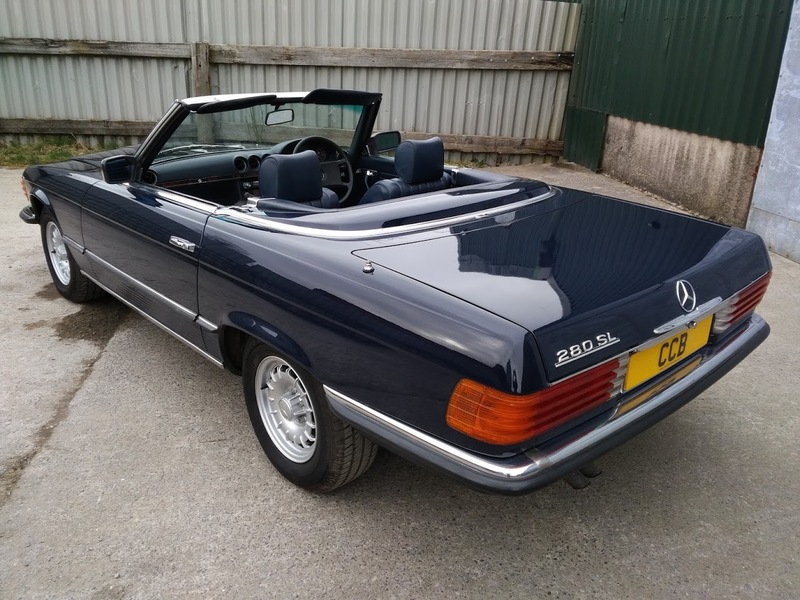 Having been properly garaged, used sparingly and maintained unstintingly by each of its owners it drives superbly, with ample and smooth power delivery from the silky six cylinder engine. 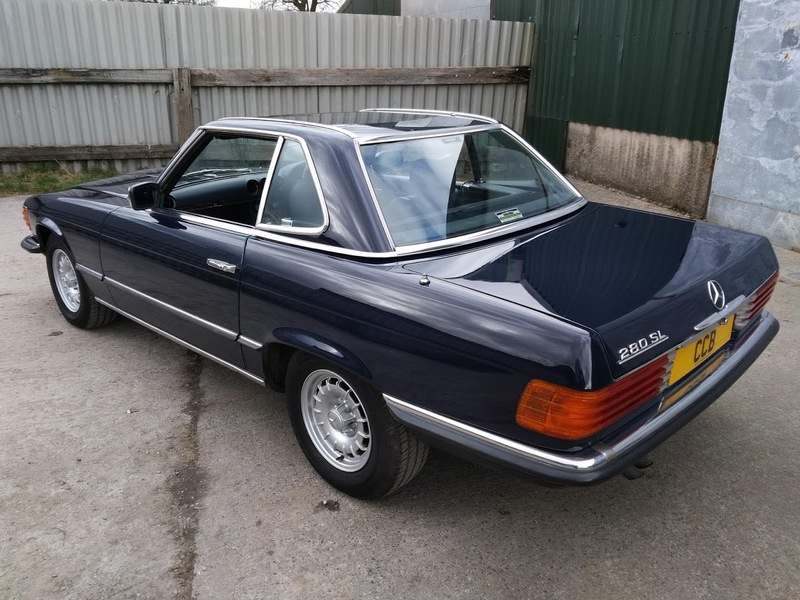 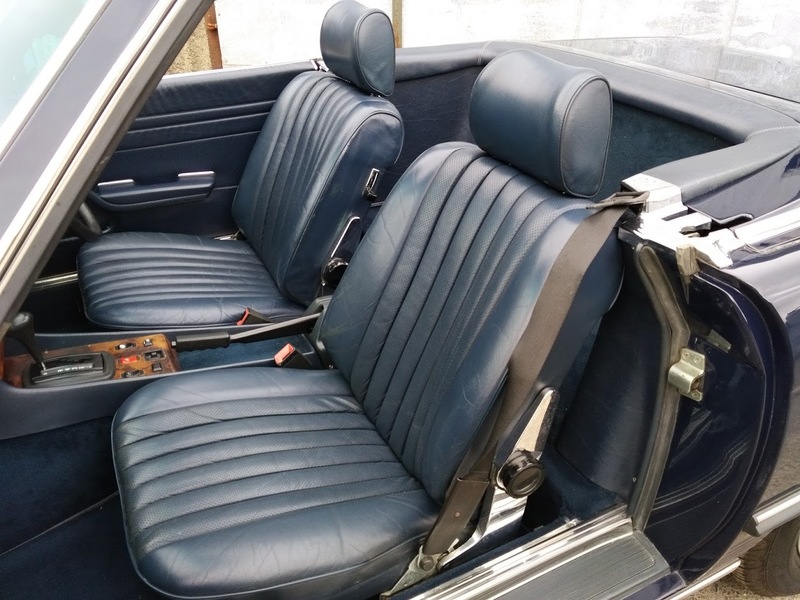 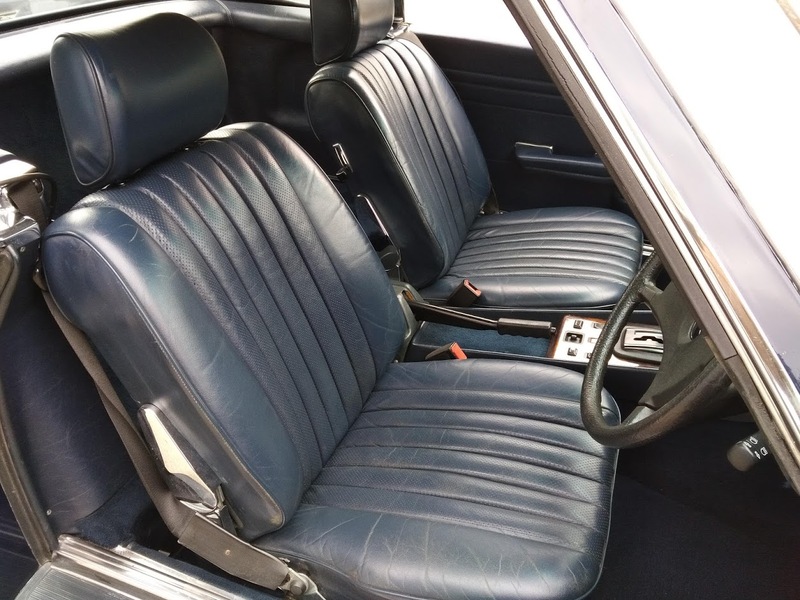 The inclusion of air conditioning in the specification makes it quite a rare example of this model. 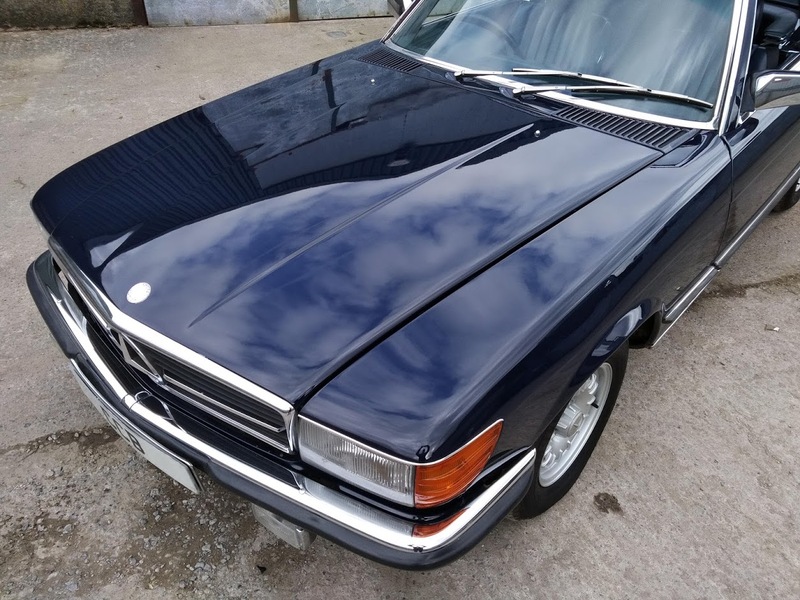 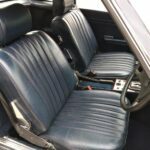 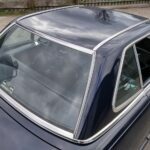 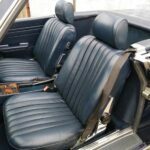 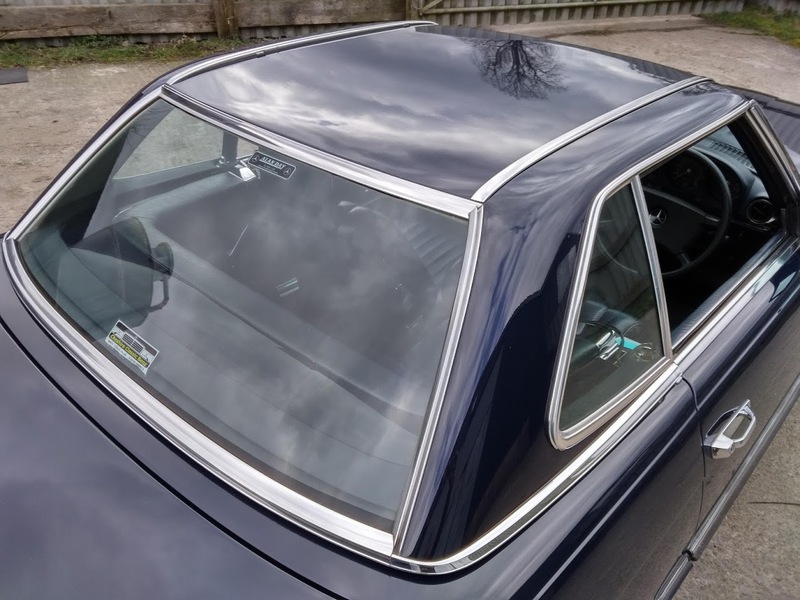 The combination of the dark blue paint and blue leather looks very elegant, and provides a perfect backdrop to the plentiful chrome finishings.